Gearing up for a 2019 rebuild? Antec is here to help. Our prize on Day 21 is a P110 Luce mid-tower chassis, a fabulous 1,300W High Current Pro Platinum power supply, and a Prizm 120 ARGB fan kit! The competition winner will be picked at random from all eligible entries that arrive by 09:00 London time on the closing date, January 6, 2019. 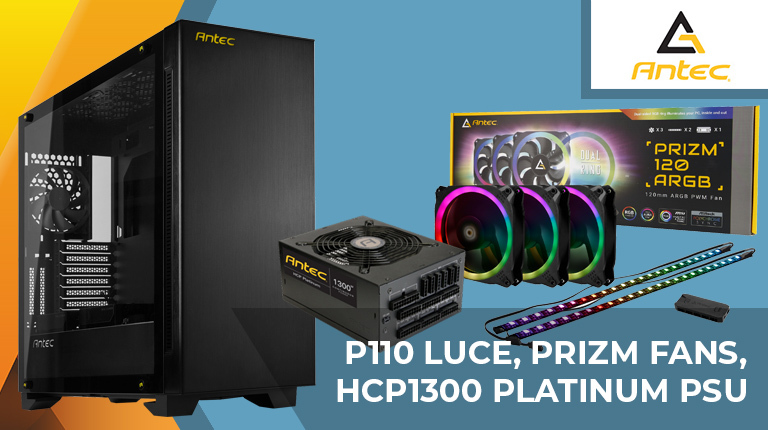 The prize is a P110 Luce chassis, a 1,300W High Current Pro Platinum power supply, and a Prizm 120 ARGB fan kit. Another nice giveaway, thank you HeXus & Antec! Entered just for the chance to try to find out how to connect HDMI to the front panel. Is it possible to spec even an sli setup that would require that?